Anaerobic technology has become widely accepted by the environmental industry as a cost-effective alternative to the conventional aerobic process. In addition, with the intrinsic advantages of energy saving, reduced sludge yield, and production of biofuel, anaerobic process will be the favored green treatment technology for sustainable environment in years to come. 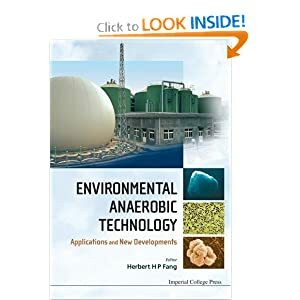 Written by 40 renowned experts from 13 countries/regions, this book consists of 18 chapters compiling state-of-the-art information on new developments in various aspects of anaerobic technology. These include development of new types of reactors, uses of molecular techniques for microbial studies and mathematical modeling, productions of bio-hydrogen by fermentation and microbial electrolysis cell, as well as broadening applications to the treatment of municipal wastewater, effluents from chemical industry and agricultural wastes with high lignocellulose content. فن آوری های بی هوازی در صنعت محیط زیست به عنوان یک جایگزین مقرون به صرفه برای فرآیند هوازی متعارف تبدیل شده است به طور گسترده ای پذیرفته شده است. علاوه بر این، با مزایای ذاتی صرفه جویی در انرژی، کاهش عملکرد لجن، و تولید سوخت های زیستی، فرآیند بی هوازی خواهد بود تکنولوژی مورد علاقه درمان سبز برای محیط زیست پایدار در سال های آینده است. نوشته شده توسط 40 تن از متخصصان مشهور از 13 کشور / منطقه، این کتاب شامل 18 فصل، جمع آوری اطلاعات دولت از هنر در تحولات جدید در جنبه های مختلف از فن آوری های بی هوازی. این خدمات عبارتند از توسعه انواع جدیدی از راکتورها، با استفاده از تکنیک های مولکولی برای مطالعات میکروبی و مدل سازی ریاضی، تولید بیو هیدروژن توسط الکترولیز میکروبی تخمیر و سلول، و همچنین گسترش برنامه های کاربردی به درمان فاضلاب شهری، فاضلاب صنایع شیمیایی و کشاورزی مواد زائد با محتوای lignocellulose بالا. 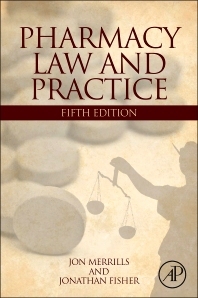 The fifth edition of Pharmacy Law and Practice provides a straightforward and useable guide for students, practitioners, academics and others interested in pharmacy law and practice in the United Kingdom. 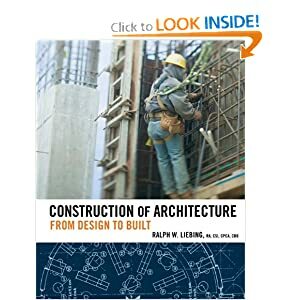 This multi-dimensional book includes discussions of socio-political influences on legal developments to provide greater insight to the reader. It clearly sets out the background to regulatory issues together with simple and practical statements of what a pharmacist has to do to obey the law. 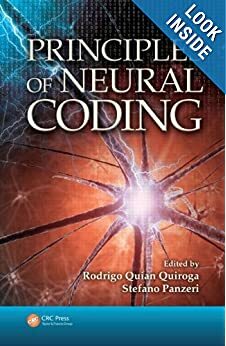 As in previous editions, this book discusses topics thematically rather than by statute. 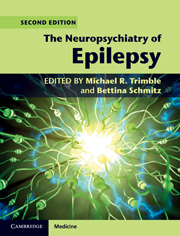 It is a unique and reader-friendly guide that boils down the complex or difficult language of the law, describes the reasons behind it, and illustrates the application to pharmacy practice. MPharm students and pre-registration students, practicing pharmacists and professors of pharmacy in the UK. Secondary audiences may include pharmacy technicians, NHS professionals and lawyers specializing in pharmacy law. نسخه پنجم از قانون داروسازی و تمرین فراهم می کند یک راهنمای ساده و قابل استفاده برای دانشجویان، پزشکان، دانشگاهیان و دیگران علاقه مند در قانون داروخانه و عمل در انگلستان است. این کتاب چند بعدی شامل بحث از تأثیرات اجتماعی و سیاسی به تحولات قانونی به ارائه بینش بیشتری به خواننده. آن را به وضوح مجموعه از پس زمینه به مسائل نظارتی با هم با اظهارات ساده و عملی از آنچه یک داروساز را به انجام به اطاعت از قانون است. همانطور که در نسخه های قبلی، این کتاب به بحث در مورد موضوعات موضوعی به جای اساسنامه. این راهنمای منحصر به فرد و خواننده پسند که جوش پایین زبان پیچیده و دشوار از قانون، شرح دلایل آن، و برنامه را نشان می دهد به عمل داروخانه است. دانشجویان MPharm و پیش ثبت نام دانش آموزان، تمرین از داروسازان و استادان داروسازی در انگلستان است. مخاطبان ثانویه ممکن است شامل تکنسین داروخانه، حرفه ای بیمه خدمات درمانی و وکلای متخصص در قانون داروخانه.